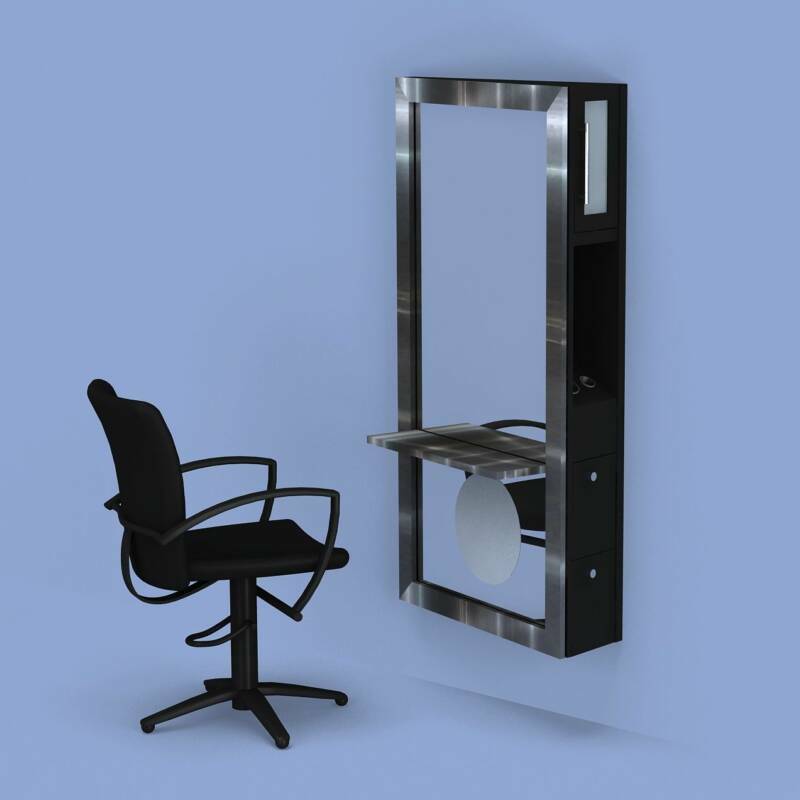 Category: Styling Stations.Tags: Salon Equipment, Salon Furniture, Salon Styling Mirror, Salon Styling Station. We offer a variety of hair salon wall stations including the Eton Wall Station. This station has a sleek look and is very functional. 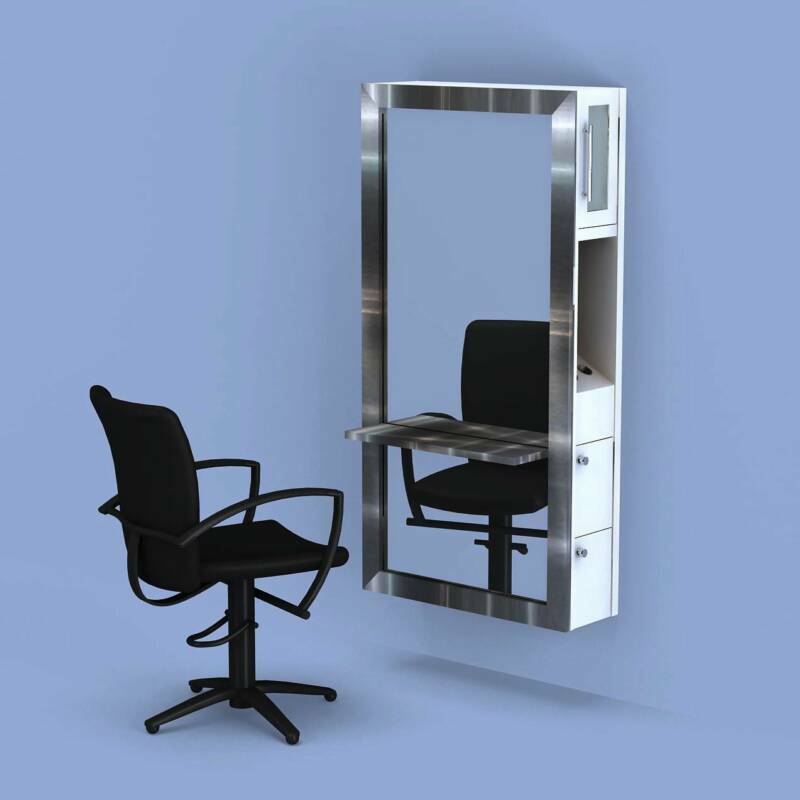 stainless steel, lacquered or laminate mirror frame finish with shelf upgrade. Plenty storage space and tool area.